Jadielady: Arctic Lace - Blog tour! Arctic Lace - Blog tour! If you are a super-duper loyal reader, you might remember that I did a blog post for a virtual book tour nearly two years ago! 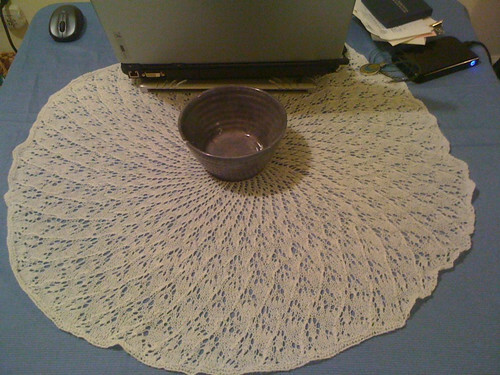 So when Donna sent another email about her new book on lace, I was very excited to take part again. Arctic Lace is a very beautiful looking book, which focuses on lace patterns inspired by native Alaskan knitters. If you watch the LetsKnit2Gether podcast you might remember that Cat had several recent episodes about traveling to Alaska, and purchasing Quivit, which is one of THE most expensive (and soft, and warm, and OMG did I mention soft?) luxury yarns ever. This book is all about knitting with that wonderful fiber. 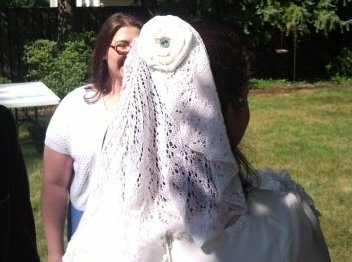 This year I took my first dive into lace knitting when I decided to make my own wedding veil. I had to keep it hush-hush because I didn't want Sam to know about it (which was very tough, considering we live together). a chance to see (and hear!) these two new releases. I've been away for a long time and out of the loop BIG TIME but I wanted to say I LOVE your veil!